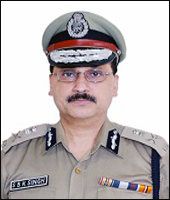 It gives me immense pleasure in welcoming you to the website of Arunachal Pradesh Police. Arunachal Pradesh with its mesmerizing scenic beauty, rich tribal heritage and diverse culture is unique and distinct from other States of the country. Its remoteness and strategic location pose special challenges. Use of electronic medium is growing in the society and it can be an effective and quick way to reach out to the public. I call upon all the visitors to this site to derive greatest value from the services on offer through our website. Please also spare time to give your constructive feedback in improving our services to the people. 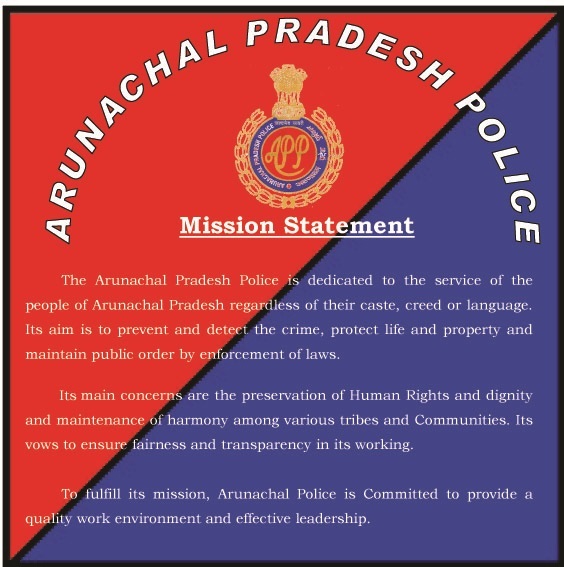 Arunachal Pradesh Police remains committed to provide transparent, responsive, just and people friendly policing with the motto "Satya, Seva, Suraksha. We, with strength of more than 11,000 personnel, are ever committed to provide a safe and secure environment to all the people of the State. I seek your cooperation and help in maintaining law and order and control of crime so as to achieve the true objective of a peaceful Arunachal Pradesh. I hope for your whole hearted cooperation in improving the quality of policing and delivery of public services to the common man.